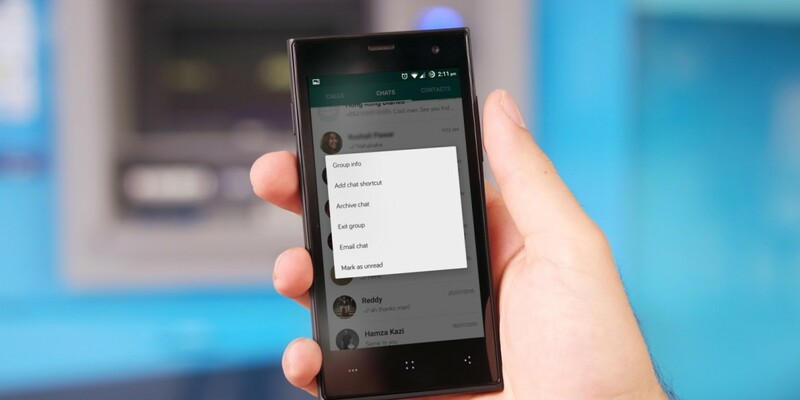 WhatsApp has been updated on Android with a few useful new features, including an option to mark conversations as unread, as spotted by Android Police. Tap and hold on any conversation pane and you’ll spot the new feature at the bottom of the menu. It adds a green circle to your selected chat so it’s easier to spot — but it won’t affect the read status on messages within each conversation. The new version also lets you set custom notifications for contacts and groups. Open any contact’s details and you’ll be able to configure specific tones for calls and messages, and configure popup notification behavior as well. There’s also an option to use less data for voice calls, which you can find in the ‘Chats and calls’ settings. In my testing, I found that the audio quality didn’t drop, but there was the occasional moment of lag. WhatsApp doesn’t seem to have pushed its latest version to Google Play yet, but you can download it from the company’s site.